that has been loved through the ages. 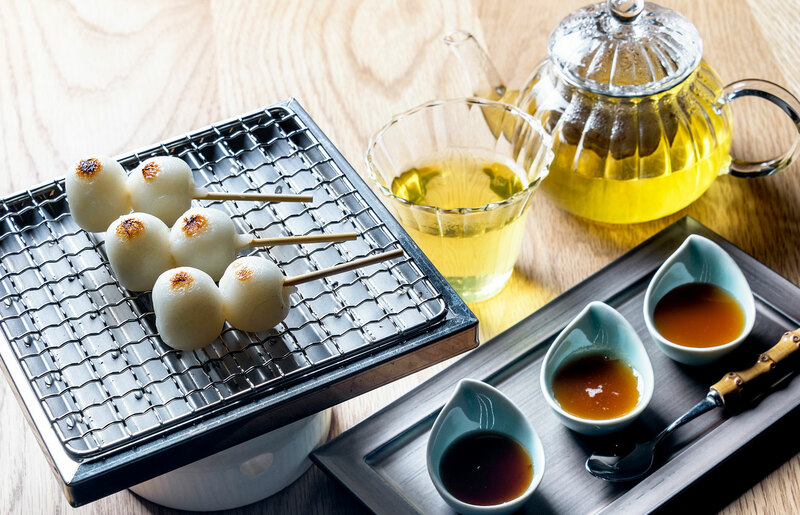 At our shop, customers get to roast their own “Mitarashi Dango (skewed rice ball dumpling in a sweet soy glaze)” in mini hot charcoal grill, then eat them with home-made sauce in various flavors. All the ingredients are made in Japan and carefully selected, such as adzuki bean (small red bean), soy flour, sticky rice, and they all make the healthy Japanese sweets.